Donald Trump made the headlines last week by announcing that he was ordering the US Embassy in Israel to relocate from Tel Aviv to Jerusalem. Anything involving an announcement by Trump is bound to be incoherent, and the situation in the near east is immensely complex, so you can guarantee that there was going to be a heap of confusion about this. There is absolutely no doubt that the decision has inflamed opinion and, in the short term at least, made violence more likely and pushed further into the distance any possibility of the beginnings of a real peace process. There are several things we need to be aware of as part of the context for this announcement. The first is that the 1947 UN Partition Plan, which proposed dividing the area of Palestine into two states, excluded Jerusalem and its districts (including Bethlehem) which it set aside as a corpus separatum to be administered internationally. Whilst Palestinian Arabs rejected the partition, Jews in the region accepted it—including the loss of Jerusalem. Ben-Gurion noted that the loss of Jerusalem as part of sovereign Israel was the “price we have to pay” for a state in the rest of the land. This reflected a relative historic indifference to Jerusalem amongst Zionists of the nineteenth century. Secondly, the rejection of the Partition Plan by the Arab nations, leading to the war against the fledgling State of Israel, allowed Israel to ignore the plan for Jerusalem, and it declared West Jerusalem its capital at the end of hostilities in 1948. Jordan proclaimed East Jerusalem a capital of sorts when it annexed the West Bank (also in defiance of the UN plan) though it remained undeveloped. Since then, Israel has treated Jerusalem as its capital and has located all the usual official functions there, including the building housing its parliament, the Knesset. Diplomats from other countries come to Jerusalem to meet Israeli officials, and it is (I think) unique in UN relations for other countries not to recognise the named capital of a democratic sovereign state. The reason for withholding recognition is to hold out hope for the possibility of a two-state solution along the lines of the original Partition Plan, including the international administration of Jerusalem—even though building development means that is, in practice, completely impossible. Thirdly, the US Congress actually voted to recognise Jerusalem as Israel’s capital in the Jerusalem Embassy Act of 1995, but successive US Presidents have refused to implement it (seeing it as an unconstitutional interference in US foreign policy determined by the executive)—until now. At the time, it wasn’t even clear that Israel welcomed the passing of this act, since it could see the destabilising effect of such a move. Yet the NT sees this psalm quite specifically fulfilled in Jesus: around 60 percent of this psalm is quoted or alluded to in relation to Jesus and his followers. This is the psalm the believers quote to God in prayer in Acts 4.25–26 to explain the opposition of the leadership to the Jesus movement. This is the psalm Paul uses to justify belief in Jesus’ resurrection as the fulfilment of God’s promises in his gospel speech in Pisidian Antioch in Acts 13.33. And in Revelation, the phrase ‘ruling the nations with an iron rod’ from Ps 2.9 identifies the rule of Jesus in Rev 12.5 and 19.5, a rule which his followers will share in Rev 2.27. So for the NT, God’s installation of the messiah ‘on Mount Zion’ is now a metaphor for Jesus ruling at his Father’s right hand in the heavenly places—and Revelation pictures Zion in just this way in Rev 14.1. It is striking that Christian Zionist readings that give a special place to modern Israel and Jerusalem must always reach back to OT texts for their rationale, since there is not a single expectation of these physical spaces have any further significance in the NT. And such readings are always odd, for three reasons. Take, for example, the vision of Isaiah for Jerusalem’s restoration. From the start, Isaiah sees that ‘the mountain of the LORD’s temple will be established as the highest of the mountains; it will be exalted above the hills, and all nations will stream to it’ (Is 2.2). From the context of exile, and hoping for return, God ‘will rebuild you with stones of turquoise, your foundations with lapis lazuli. I will make your battlements of rubies, your gates of sparkling jewels, and all your walls of precious stones’ (Is 54.11–12). And in Is 60, ‘nations will come to your light, and kings to the brightness of your dawn’ (Is 60.3) and Jerusalem will be the centre of attention for the whole world. These expectations are remarkable in their poetic extravagance—but if they find their fulfilment in a physical and political restoration of the city (which, it is worth noting, has become here a metonym for the whole nation of Israel) then that restoration did indeed take place when the exiles returned and re-established the city, a process we read about in the book of Nehemiah. ‘The present city of Jerusalem … is in slavery with her children’ (Galatians 4:25). This startling statement suggests that Paul would have answered the above question in the affirmative. For a Jew of Paul’s background to speak thus of Judaism’s ‘mother city’ testifies to a radical shift in perspective. For Christians the focus is now to be upon ‘the Jerusalem that is above … and she is our mother’ (Galatians 4:26). This proves to be an opening salvo of a re?evaluation of Jerusalem which is found in all the NT writers. The most striking example of this is in Luke-Acts. In Luke’s gospel, Jesus’ journey to Jerusalem provides the shape for the central part of his narrative—and yet the prophetic description of Jerusalem’s fall is much more vivid than in Matthew or Mark, and the focus of Acts is centripetal and away from this historic centre. Of all the Evangelists, Luke brings the theme of Jerusalem’s fate most centrally into his narrative. Indeed, the structure of Luke?Acts is based on Jesus’ going up to Jerusalem (Luke), followed by the apostles’ going out from Jerusalem ‘to the ends of the earth’ (Acts). Comparatively early within his gospel, Jesus ‘resolutely set out for Jerusalem’ (Luke 9:5 1), ‘for surely no prophet can die outside Jerusalem!’ (13:33). Jerusalem proves to be the place which ‘did not recognise the time of God’s coming’ and which therefore in the future would experience divine judgement (19:41?4; cf. 21:20?24; 23:28?31). After the resurrection the disciples witnessed to Christ in Jerusalem, but soon many of them were ‘scattered’ by persecution (Acts 8: 1). Those associated with James who felt called to remain there (signifying that faith in Jesus as Messiah was not marginal to Judaism) found themselves in an increasingly difficult situation (Acts 15:5; 21:2Off.). After his description of Paul’s going up (like Jesus) to Jerusalem and experiencing rejection, Luke’s narrative turns away from the city. Paul’s journey to Rome thus signals a shift in God’s purposes away from Jerusalem and into the wider imperial world. Jerusalem has now had its day. The New Testament therefore witnesses to a shift in attitude towards Jerusalem. It affirmed the special nature of Jerusalem’s past, but it denied its continuing role in the present. The city had now lost its strictly sacred status. This was chiefly because of God’s eternal purposes now revealed in Jesus. Yet there was also a sense of God’s judgement upon the city – not least because of its response to Jesus. What are we then to make of Christian Zionist interest in Jerusalem today? If this reading of the NT is anywhere close to the mark, then seeing a divine plan in either the establishment of the modern state of Israel or of Jerusalem as its capital is very wide of the mark. Trump’s move threatens to inflame an already tense situation and do harm to the cause of Arab Christians in the area. Moreover, it runs counter to the teaching of Jesus himself. Despite his natural identification with the aspirations of his own people, Jesus consistently refused to endorse interpretations which led to an exclusive Jewish nationalism or a belief in God’s purposes being supremely fulfilled in a politically independent Jewish state. Why was it that Jesus was opposed to the emerging Zealot movement and those who wished for a more politically active Messiah? Was it just a disagreement over method (pacifism, not armed resistance) or of timing (as some would interpret Acts 1:6?8)? Or was it, rather, a fundamental critique of the movement’s ideology and its whole hermeneutical framework which did not allow that God was fulfilling his ancient promises in Jesus himself In his role both as Messiah and as the one in whom Israel was restored, Jesus was thus giving a radical new twist to the story of Israel, confounding the biblical expectations of his contemporaries. Should we preach at Carol services? But what about Romans 9-11? Your argument does sound very much like supersessionism. Is that your intention? You write (or quote – where is the quotation from?) ‘Jesus consistently refused to endorse interpretations which led to an exclusive Jewish nationalism or a belief in God’s purposes being supremely fulfilled in a politically independent Jewish state’. But surely no one is arguing for an exclusive nationalism or a supreme fulfilment in a Jewish state, just one that does not exclude it. My suspicion is that God does still intend to fulfil his promises to Israel as a people, alongside those to the church in which both Jew and Gentile are joined. But I confess that it is hard to see how the modern secular state of Israel, without priesthood or temple, can be construed as a restoration of Israel to the Land under the terms of the biblical Covenant. Thanks Will. Yes, I guess I am arguing for a kind of supersessionism: the Jewish Messiah Jesus supersedes the physical temple and becomes the place of the tabernacling presence of God. This is certainly the theology of John, and of Paul, and is articulated at length in Hebrews. The primary problem with believing in a future for Jerusalem is that in the OT that is tied to a future for the temple presence of God—and this denies the centrality of Jesus. Of course, that in no sense suggests that a Gentile ‘church’ supersedes a Jewish ‘Israel’. On Romans 9 to 11: in the first part of Romans 9 Paul goes to great lengths to show that not all ‘ethnic’ Israel will be saved but only a remnant. In ch 10 he reconfigures OT language of salvation to make it clear that ‘all who call on the name of Yahweh/Lord Jesus will be saved’ so that this is true now for both Jew and Gentile. And in Rom 11.26 he shows how God’s plan means that ‘all Israel’ i.e. God’s people both Jew and Gentile will be saved in this way (cf Gal 6.16). But what is really pertinent is that nowhere in all this is there any reference whatever to the land or Jerusalem. They play absolutely no part in all this discussion. Of course, Paul is writing *prior* to the fall of Jerusalem—and it is very striking that the attitude to Jerusalem and the land changes not one just between NT documents written *before* and those written *after* the fall of the city. Bill Clinton advocated an embassy move in 1992, going so far as to publically declare Israel the “undivided capital of Israel”, a sentiment shared by his predecessor George Bush Senior. George Bush Junior made an election pledge to explicitly move the embassy from Tel-Aviv to Jerusalem back in 2000 and just never followed through with it… Obama publically reiterated his desire to explicitly see Jerusalem as Israel’s capital in 2008 (twice) and suggested moving the embassy as well. Trump has simply done what has been a consistent and express aim of the United States for at least 2 decades (if not longer) and to call that position ‘incoherent’ or confusing is disingenuous. From a political perspective I agree it is likely to be unhelpful and raise tensions. The status quo has largely been conducive to peace, something this risks upsetting, but it is not an illogical move, or without political merit. This presidency is nothing if not divisive. In terms of a theological, or biblical, view I largely share N.T.Wright’s perspective, though he has not written anything substantial on this specific issue. That is to say, (and I accept this will be a poor summary), I believe that the material promises to Israel, of temple, land and power, are fulfilled in Jesus and extended -though rewritten around the new paradigm of a crucified messiah- to the church. The church is in that sense the “new Israel”, and any attempts, however noble, to re-form God’s people around anything other than Christ and Spirit is doomed to failure. I understand N.T.Wright to be correct in identifying this theme (*renewed covenantal monotheism* cit?) as the central pillar running through the entire Pauline corpus. God does not have two kingdoms running in parallel; he has one, crucially both radically ‘new’ and yet in faithful continuity. However, like Wright (and Thistleston), I would draw the line at a full-blown ‘replacement theology’ or ‘supercessionism’, and share Will’s suspicion that there is some unique work or plan for the salvation of the Jewish people that God has yet to bring about. I confess I don’t know what that is, but my inability to reconcile certain passages of OT prophecy (particularly Eze) completely to this view holds me in honest doubt. My point in the first half of the comment is that while there may indeed have been ‘concerns’ that prevented the presidents of the past from acting on this desire, the desire has nonetheless been there all along, publicly stated and freely acknowledged. It is not so much that “successive US Presidents have refused to implement it”, but rather that they have been unable or unwilling to do so. George Bush Jr put it on hold because he didn’t want to create further instability in the region while the Iraq war was just beginning. His administration put the plan on Hiatus to preserve the status quo for purely pragmatic reasons. Foreign intervention and middle-east diplomacy has been a far bigger factor in delaying this long-coming change than any act of congress. He is not ‘George Bush Jnr’, he is George W. Bush. ‘Jnr’ means an identical name as one’s father. Thanks Mat. Can you point to any NT verses which support your hunch? The promises in Ezekiel are most explicitly taken up in Revelation, which again has no place whatever for the physical land, since it uses the terminology of Zion and Jerusalem, as well as the twelve tribes, quite explicitly to refer to the Jewish-Gentile people of God who are faithful to Jesus, from ‘every tribe, language, people and nation’. I’ll repeat, but slightly re-phrase, my question from October regarding Ezekiel and hope that I can highlight my stumbling-block for you to elucidate…. 2. The Spirit (the river) that flows from the temple, bringing life to what it touches and making salt(dead) water fresh(life). 3. The extension of the ‘national’ (Israel) borders, of which the temple is the center, to their ‘ideal’ future dimensions. Nothing (I hope) too controversial there? 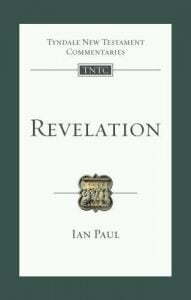 The NT writers, especially Paul and John, develop this theme to a huge extent but Revelation most especially replicates and extends this imagery, building and developing it into the vision at the end in chapters 20>… In that at least I would agree with you Ian. But, where the temple/river imagery (1&2) are easily scanned into ‘apocalyptic’ predictions of the future confluence of all things, in a way that maps rather neatly into a salvation-history understanding of the bible, point (3) remains annoyingly explicit about land in way that doesn’t appear true for the temple; tying Ezekiel’s prophecy of renewal and return to very specific, geographically identifiable and historic borders. I do not think it compelling that these can be simply treated as if they metaphorically meant the same thing as “the whole earth”, or “all creation”, such as John and Paul respectively speak, without Ezekiel having been mistaken. Am I being clear? perhaps not…..
“Can you point to any NT verses which support your hunch? My doubts, and skepticism, stem from two things. The first, as above, is some aspects of OT prophecy that mention land in explicit geographic terms. The second is an unwillingness to be too ‘certain’ about this, I’d like to leave room to be convinced otherwise. As differentiated from, say, the promises to Abraham, which while definitely given in terms of material gain and literal ‘land’, are not constrained in the way that Ezekiel’s are. Is sending missiles into Israel peace? Is sending terrorists into Israel peace? Is digging tunnels into Israel peace? The Palestinian side has never ever accepted Israel’s right to exists at all. “……Whilst Palestinian Arabs rejected the partition, Jews in the region accepted it—including the loss of Jerusalem. I struggle with the concept that ultimately accepting the to-and-fro of negotiating what you can to get any kind of state is in any way the same as £indifference to Jerusalem”. You only have to look at the Palestinian side of the negotiations in which they have consistently, and even now continue to, seek the absolute destruction of Israel. They simply do not accept Israel’s existence at all. By the historical standards of Israel to date, this has been a protracted ‘peace’. Yes, I agree. There is a lack of big-picture thinking. The biblical trajectory and the work of Christ are made null and void unless we see a move from national to international, Israel to ‘Israel of God’. That big picture obviously does not mean that ethnic Israel ceases to exist or to have some future destiny, a topic Paul deals with in Romans. last week I was teaching in Jerusalem and staying in the Old City when Trump made his declaration. To be there at anytime is I see how significant it is. What other city has the eyes of the world on it all the time? And Why is this? Far more than mere politics. scripture tells us why- it is the only City in the world God had ever associated with as his dwelling place and the only City in the world where his eternal son was killed and raised and ascended and the only city in the world where Jesus has promised to return and reign and the only city in the world where the nations will gather to be judged. No wonder it is so contested and conflicted- as I said when asked about Trump by a Haredi last week: Jerusalem is uniquely God’s! How interesting to be there at that time! Why does the city have the eyes of the world on it? Because of the history of the region since the fall of the Ottoman Empire, the dependence of the West on oil, the debt of the Western power following the Holocaust, and the tribal divisions between the Arab nations. If you think this is connected with the city as the place of the OT temple, then I think you must be dependent on a ‘literalist’ reading of Revelation and Dispensationalism, which I hope you are not! And I am not sure which verses in the NT tell us that judgement of the nations will happen in the physical Jerusalem…? -literal intent on the author’s part, plus expectations of any fulfilment having already been dashed. But Jerusalem was in ‘the eyes’ of Christians long, long, long before any of this – before the Ottoman Empire, before oil, before the Holocaust. Read Etheria’s travel diary from the 4th century; read just about any writer from the Middle Ages. It is the Eternal City. Further, the idea of an ‘international city’ is an absurd and unworkable notion from the 19th century and Versailles-era thinking. Whatever Herzl thought (and that included going to Uganda! ), ‘Zion’ means only one thing: Zion. Brian, indeed—but to my knowledge this interest was *all* related to the city as the historical site of Jesus’ ministry, death and resurrection—and not at all because of eschatological timetables. Do correct me if I am in error here. Ian, I don’t know a great deal about the history of eschatological thought, and I suspect if I did, I would understand less! I believe Jerusalem was a majority Christian city from the fourth until the seventh century or later, when the Persian and then Arab invaders came, bringing Islam. It was again under Christian control after the First Crusade until Saladin captured it; and thereafter it remained in Ottoman hands until 1917. 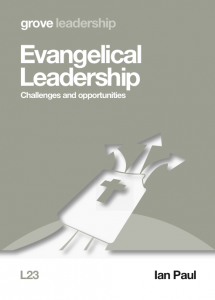 Yet there were stirrings of Messianic thinking in the 19th century linked to CMJ and evangelism of Jews in the Sanjak of Jerusalem – including the establishment of the Anglican bishopric of Jerusalem with Michael Solomon as the first bishop. This was linked with a recurrent theme that has ebbed and flowed in church history: that the conversion of the Jews would presage the Second Coming. Of course, today’s Anglican leaders would like to draw a veil over such ideas (they have quietly adopted a Two Covenant Theory – or maybe Three, since there are so many Muslims in England today). The first Zionists were not particularly religious people but rather socialist and liberal European Jews (some explicitly anti-religious), concerned to protect Jews in the uncertain political climate of eastern Europe in the 19th century, a climate that worsened in Germany in the 1930s. I do not know that we can declare flatly that the city of Jerusalem is of ‘no interest to Christians’, but even if that were so, neither should we be bending over backwards to accommodate the aggrieved feelings of Palestinian Arabs who have lost every attempt they (or rather Egypt, Jordan, Syria, Iraq etc) have made to destroy Israel. Here is the blunt truth: in wars there are winners and losers. Germany lost a great deal of its territory because it lost the wars it started. Millions of Germans were displaced and resettled. Does anybody today demand that Germany should be restored to its pre-1939 borders? That the millions of German ‘refugees’ from Pomerania and Silesia should be able to return to their homes? And above all, that the Holy City of Konigsberg, sacred to mathematicians and now called ‘Kaliningrad’, should be restored to Ostpreussen? An ‘international city’ is a crazy idea, as crazy as any of the ideas that came out of Sykes-Picot and Versailles, and the idea that Israel could share a city (streets, power grid, subways – everything) with a new state full of religious zealots dedicated to the destruction of Israel) is just lunacy. That ship sailed 70 years ago. Is ‘city’ relevant? Isn’t that a modernish title addition? It’s certainly not the only place where God revealed himself in a special way. The tabernacle in the wilderness is one extensive example. And isn’t there a slight ‘rebellion’ over giving it a permanent home….. and a very loud and clear ‘God does not live in houses built by men’s hands’? Is there a sense in which Jerusalem came to usurp something of God’ glory. I can’t quite put it in words as it’s just emerging from my brain! With all due respect, I was somewhat bemused by your statement: ‘scripture tells us why- it is the only City in the world God had ever associated with as his dwelling place. If the consecrated temple cannot be God’s dwelling, then far less the city in which it was built. In his defence before the Sanhedrin, Stephen echoed Solomon and Isaiah (Is. 66:1-2) in highlighting this transcendent contrast between our Father and the gods of heathenism who are mere supernaturals, who seek the material sustenance of their adherents. Jerusalem and the Temple gave prominence to the worship and supplication of God, until its leaders defected from Him. since Stephen lost his life for denouncing Jerusalem’s faithless, but insistent monopoly on OT ritualism, surely, we can do better than return to partly espousing the beliefs of those who stoned him. How can the earthly Jerusalem compare, when Christ pronounced the sentence of abandonment upon it (Luke 13:35) A’s executed by Titus in AD 70? David – You reasonably counter my referencing the psalmists & Isaiah on the importance to God of the real estate of Jerusalem/Mt Zion by highlighting the writer to the Hebrews speaking of the Church having already come to Mount Zion (Heb12). I wonder how you reconcile that with John’s heavenly vision “I looked and behold, on Mount Zion stood the Lamb with 144,000” (Rev14) – is that where the writer to the Hebrews thinks we’ve come? and how do we reconcile Rev14 and Heb12 with Zechariah’s future prophecy 8v3 “I will return to Zion and dwell in Jerusalem. Then Jerusalem will be called the Faithful City, and the mountain of the LORD Almighty will be called the Holy Mountain.’? The Christians addressed in Heb12 hadn’t been to Zechariahs Mt Zion, nor to St John’s Mt Zion so do we see here a figurative reference in Hebrews, a literal one in Zechariah, a symbolic one in revelation?But Hebrew’s figurative does not negate Zechariah’s literal use. You state that Zechariah’s priestly exhortation was ‘intended to stir up spiritual zeal amongst returning Jewish exiles’ – and indeed it was. But is that the end of it? Was that piecemeal process the day of the Lord described in Ch14? Do you consider this chapter to have been fulfilled? Or does it have any future prophetic significance? Given that many of the prophecies’ specific details did not occur at the exilic return (nor as some suggest at AD70) could Zech14 be a prophetic word relating to the events surrounding Jesus’ return? I think it is. and if so, are we to expect a literal end time attack on Israel and siege of Jerusalem by hostile armies? Seems reasonable expectation in the natural let alone Biblical. particular reference to physicality (jesus feet) and geography (mount of Olives) are difficult to spiritualise/symbolise. Given the resurrected Jesus is in a body and will return bodily, is it not reasonable to accept this yet unfulfilled prophecy as being true and that Jesus returns as he said he would, to Jerusalem. And if that is the place where God’s final historical act is played out, before the curtain call on history and the recreation of heavens & earth, does it not then make sense of why the land is so contested and why so many have vested interest in it, and why the eyes of the world are inexorably turned toward it. This is not as Ian posits about collapsing Ottoman Empires, Oil or even Jewish Emigrees in 1947, its about the Return of the King. Luther threw up his hands at Zech14 and said he gave up on it not knowing what it meant – but 500years later in today’s political climate, I think interpretation is clearer. Concerning the OT prophets, St. Peter wrote to Christians throughout Asia Minor Concerning this salvation, the prophets, who spoke of the grace that was to come to you, searched intently and with the greatest care, trying to find out the time and circumstances to which the Spirit of Christ in them was pointing when he predicted the sufferings of the Messiah and the glories that would follow. It was revealed to them that they were not serving themselves but you, when they spoke of the things that have now been told you by those who have preached the gospel to you by the Holy Spirit sent from heaven. This would mean that Zechariah’s prophecy about the future of Jerusalem must be read through the lens of NT revelation. Heb. 12:20-23 provides a spiritual contrast which encourages the abandonment of censorious OT legalism for the heavenly citizenship of the NT. Do you think that Paul’s quote here from Isaiah 54:1 also relates to earthly Jerusalem? David- But of course I am reading Zech’s prophecies through the lens of the NT – and see it as describing the events leading up to the return of Jesus – paralleling other passages Jesus spoke of (Lk21, matt24) and Revelation19 in pertaining to the last days. An allegory employed ultimately to contrast Judaizing legalism with Christian freedom hardly ‘removes any doubt regarding the status of earthly Jerusalem. Gal4 is a self described allegory that also employs typology contrasting law and grace, Judaizers and apostles and I do not see how in any way this allegory can be taken as corresponding literally to geographical Jerusalem and its eschatological significance in God’s purposes nor challenges clear prophecies set in clear geography & history. Do you want to take all the prophecies that speak of end time events in Jerusalem and read them allegorically as spiritual experiences in a spiritual Jerusalem above or below? Of course you don’t – so why think Gal4 removes any doubt about an earthly Jerusalem? But, Simon, Matthew’s citation of Zech 12 in Matt 24.30 is clearly *not* about ‘the last days’ in the sense of our current expectation of Jesus’ return, since Jesus says emphatically that ‘this generation will not pass away until all these things have happened’. I also would argue that the only other citation of Zech 12 combined with Dan 7 in the NT, which comes in Rev 1.7, is also about Jesus exaltation. The language in the NT is not allegory; it is now applied metaphorically and spiritually to the followers of Jesus because the physical Jerusalem has rejected Jesus. Despite the request, I have still not been pointed to a single verse in the NT which points to any expectation of a physical return to the land or restoration of Jerusalem in the OT sense. Any such verse would contradict the consistent perspective of all the NT texts that Peter Walker carefully lays out in his article. My previous comment specifically addressed your question: ‘The Christians addressed in Heb. 12 hadn’t been to Zechariah’s Mt Zion, nor to St John’s Mt. Zion so do we see here a figurative reference in Hebrews, a literal one in Zechariah, a symbolic one in Revelation? But Hebrew’s figurative does not negate Zechariah’s literal use. For the allegorical device to work, characters are drawn by its author to correspond to real-world issues, people and even places. So, instead of just correlating the personage of Hagar to the spiritual state of being under the law, St. Paul further applied it to ‘the present city of Jerusalem’ which was in servitude to the OT law and its accretions of man-made tradition (cf. Rom. 7:6). Nothwithstanding St. Paul’s admonition to Gentiles to ‘boast not against the branches’ (Rom. 11:18), Jerusalem and its leaders remain, as they were in Paul’s time: largely in thrall to the law of Moses and traditions of men vs. the grace revealed from heaven through Jesus Christ. Now, I didn’t imply that the ‘heavenly Jerusalem’ was merely ‘spiritual experiences in a spiritual Jerusalem above or below’. So, that’s just your own straw man. Instead, St. Paul relates a quote from Isaiah 54:1 (which also bears the eschatological hallmarks of Zech. 8, and 14) to the heavenly Jerusalem, which John foresaw as being descending to the new earth. It’s that prophetic distinction from the present geographical Jerusalem that I am maintaining here. So, I would ask you to present here your rationale for interpreting Zechariah 8 and 14 differently from St, Paul relating Zion in Is. 54:1 to the heavenly Jerusalem, which I re-iterate is not merely ‘spiritual experiences in a spiritual Jerusalem above or below’. David – sorry, you didn’t say what I inferred. However Paul himself speaks of Jerusalem above (v26) and many equate this with the Church (v29) who are those Paul says are Born of the Spirit – thus a some have spoken of a spiritual Jerusalem or mystic Jerusalem. The question remains whether what Paul here speaks of allegorically and typologically leads to a rejection/replacement of the city of Jerusalem by the heavenly city or church or whatever we understand his Jerusalem above to mean. I think here he is targeting the Judaizers and representing their spirituality/theology as ‘Jerusalem below’ but I do not think this can be used to negate Jerusalem’s place in God’s economy as laid out elsewhere. If anything, allegorically one could I think substitute Temple of Jerusalem here. As for Paul interpreting prophecy, I believe OT prophecies can be fulfilled synchronically, diachronically and eschatologically and so their fulfilment is not exhausted by one employment of them. Lk21v24 Jerusalem will be trampled on by the Gentiles until the times of the Gentiles are fulfilled – is this when Messiah returns and reigns??? Acts 3v21 Heaven must receive him until the time comes for God to restore everything, as he promised long ago through his holy prophets. Romans 11v29 The gifts and call of God are irrevocable – How did the apostle understand these? Not least a promise to the Jews of a land at the centre of a kingdom & a king ruling on david’s throne. To be clear, the inference that, by the New Jerusalem, I was signifying ‘spiritual experiences in a spiritual Jerusalem above or below’ was embedded in your rhetorical question: ‘Do you want to take all the prophecies that speak of end time events in Jerusalem and read them allegorically as spiritual experiences in a spiritual Jerusalem above or below? Why would you ask that question, even rhetorically, if you didn’t think that my comments about the New Jerusalem were signifying that at all? Certainly, if the early Christians hadn’t intended this and, instead, had maintained the significance of both, then they would have not experienced the levels of hostility and persecution which they endured. Accordingly, even if you understand NT references to the city of Jerusalem to represent the spirit/theology of the Judaizers, its clear from the hostility towards the early Christians, that the latter did not maintain the significance of geographical Jerusalem to God’s economy. In fact, this was borne out in the actual lives of the early Christians (Acts 8:1) and especially of the apostles: ‘To this very hour we go hungry and thirsty, we are in rags, we are brutally treated, we are homeless. We work hard with our own hands. When we are cursed, we bless; when we are persecuted, we endure it; when we are slandered, we answer kindly. We have become the scum of the earth, the garbage of the world—right up to this moment. The reference to the kingdom in Luke 1:32 – 33 cannot be at odds with Jesus’ reply to Pilate in John 18:36. In response to the disciples’ question in Acts 1:6, you assert that ‘Jesus does not disavow them of this hope nor correct their theology’. Instead, in telling them to await empowerment (cf. John 16:12-13), Jesus commended them to the Holy Spirit to effect their further enlightenment, as revealed through the experiences of the apostles (Acts 10; Acts 11:1-18) and the rest of the NT. I wish you had been there Ian – we would have had a great time. It is in fact my various visits to the land that changed me from being a secessionist and caused me to read scripture more on face value. That said, I’ve never quite understood many cbristian’s semi marcionite dis-ease with the authority of OT prophecy. It was the only Bible Jesus had! The NT does not replace the OT. It’s promises and prophecies stand and not all are repeated or fulfilled in the NT and in the first coming of Jesus. So a prophecy and promise in the OT needs no repeat on ge NT to hold validity. Notwithstanding, in a recent couple of blogs here I posited numerous verses that indicate Jedusalem and Israel’s ongoing Israel and Jefusalem’s Significance to God and his economy, not least as seen in Revelation. Contrary to your claim, long before the Ottoman Empire Jerusalem was chosen by God and was the locus and focus of his acts and was prophesied as the seat of his return and reign so seeing his judgement taking place there also is quite logical. It is because of its importance to God in the past and the future that it is so contested now. We disagree on this – we always have- time will tell. Simon, isn’t reading scripture ‘more on face value’ the very ultra-literalism which Ian Paul is here disparaging? I should be glad to know what Ian thinks of your assertion that not all OT promises and prophecies are fulfilled in Jesus. Surely all the promises of blessing are fulfilled in Jesus? ‘For no matter how many promises God has made, they are “Yes” in Christ’ (2 Cor 1:20).The city of Jerusalem is contested now not because of Biblical prophecy but because one group think they have a Biblical title deed to the place, which trumps (sic) the natural rights of other groups who live there, and they are supported by dispensationalist Christians (especially in the US) who fail to view OT prophecies through the prism of Jesus and the Gospel. Have you visited the Bethlehem Bible College on your travels in the region? I commend Rev Dr Jack Sara, its President, and Rev Dr Munther Isaac, its Academic Dean. I think you would find their perspectives on these issues interesting. ‘secessionist’? Does your bishop know? 🙂 Or do you mean ‘supercessionist’? Does ‘Jerusalem’ in Galatians mean the city or does it stand metonymously for Jerusalem? And is there not a certain strand of Christian who wishes the Jews would just quietly go away and not make any more fuss? It’s the kind of thinking that Immanuel Kant expressed in his ‘Religion within the Limits of Reason’ – a strange barbarous religion that mixed up food laws and circumcision with rational ethics. Thanks Jeremy – well, I reckon we all read selectively – the problem is we aren’t always best placed to know when n where. We can only do our best to humbly & prayerfully study the Scriptures and listen to others. We all read some things literally and some things figuratively – the question is whether & when what we read figuratively should be read literally. 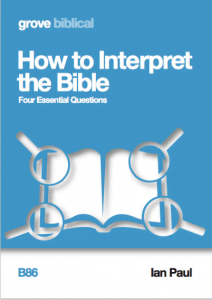 2Cor1v20 is often thrown in here when discussing The Land – but how is this text to be applied? Are we saying that now Jesus has come all God’s promises are null & void? of course not – so why do we want to say exactly that about God’s specific oft repeated and sworn on oath promises about land given in perpetuity to Abraham, Isaac & Jacob forever? Many who cite 2Cor1v20 claiming it renders the promises re- land as ended, are only too happy to ignore it & claim other OT promises in an ongoing manner for their own life. Clearly Paul’s statement does not suggest the promises of God are ended or nullified, but that Jesus is the ultimate locus, focus and guarantor of all God’s promises many of which stand until he returns. Jesus shows that God keeps his promises. 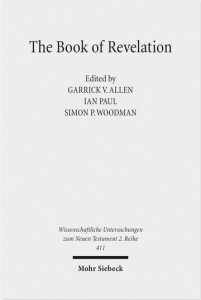 Ian fears that a wrong literal reading of many eschatological texts makes one a dispensationalist. Maybe it does. But I’m not dispensationalist – I have even written a book stating as much. I think much of dispensationalist schematic is bonkers. But I think in rejecting dispensationalism many throw the baby out with the bathwater – rejecting the place of Israel and the Jewish people in God’s end-time purposes. No, I’ve not been to Bethlehem Bible college (have you been on a Jewish Roots tour with CMJ Shoresh on your tours in the region? I’m sure you would find their perspective helpful). That said, I am familiar with Bethlehem Bible College’s ministry and theology and have had friends who’ve done short study courses there. I have obviously read the important texts by Burge, Sizer, Chapman et al and discussed the issues with those of all sides and none. I think I have a grasp on the issues, not least because I have spent most of my Christian life as a supersessionist dismissing the Zionist perspectives. But on this I have done a volte-face. FULFILLMENT is the key to understanding how the New Testament interprets the land, “Israel”, the covenant , the temple – and everything else in the Old Testament. The notion of ‘fulfillment’, from the perspective of a Plato-influenced first century Jew describes something very different than the linear “supersessionism” or “replacement theology” with which the word “fulfillment” is often associated. Fulfillment means that Jesus reveals something’s full meaning and enables it to have that full meaning. The physical isn’t of itself the fullness of a thing. The truth about any object is a divine truth of which we have only a resemblance in the physical representation. Warning to those who recognise Plato in this: There are errors in interpreting Christianity through Platonic eyes (as Vermes, Wright and scholarly fans make clear) but there are also errors in interpreting Christianity as Plato-free. Because Paul and other NT authors believed Jesus was the “fulfillment” of all things, they do not present nor entertain the sort of two-covenant Zionist theology that is so commonly accepted in our modern times. Here’s an interesting aside on this: one of Trump’s lawyers is Jay Sekulow, a prominent Messianic Jew linked with the Christian Broadcasting Network. “The temple that is trampled on the outside but preserved on the inside (Rev 11.2)” – Ian Paul. As ever this is a careful and thought-provoking piece, much of which I agree with. (1) In Luke 21:24, Jesus seems at least to hint that Jerusalem would one day return to Jewish control. It seems to me that this happened in 1967, regardless of anything Trump has done. (2) I have close connections with the Messianic Jewish movement and just wondered how familiar you are with that movement? I note you link to one MJ teacher in your post. On this issue, as with many others, there is a broad range of opinions, although it’s fair to say that many, if not most, tend towards the position you critique above. Surely most Bible scholars consider Luke 21:24 as referring to the destruction of Jerusalem in AD70, and the fulfilment of the ‘times of the Gentiles’ as referring to the Second Coming. What Luke 21:24 does not mention, interestingly, is the return of the Jews to the land!. Thank you. That doesn’t seem to be the plain meaning of the verse, to me. The Jews weren’t then exiled from the land so it’s not surprising it doesn’t mention their return! James, Jerusalem had been destroyed and many Jews driven out by the time of the writing of at least three of the four gospels. If there had been any inkling that this situation was a *breach* of God’s plan for the city, and that he intended the temple to be re-established, they could have found ways of expressing this. Rather, they do the opposite, and consistently record Jesus’ teaching in such a way as to communicate that the fall of Jerusalem was God’s just judgement on the city for the failure to recognise Jesus as Messiah. This is highly embarrassing for any of us wishing to avoid the anti-semitic use of the NT texts…but there is not an easy way to avoid this. Ian, thanks for the reply. To me, Luke 21:24 and Matthew 10:23 seem to hint (no more than that) that there will be Jewish people (a) back in the land and (b) back in control of Jerusalem at the time of Jesus’ return. As an aside, I don’t think it’s “anti-Semitic” to argue that the NT does not clearly predict a return to the land. It would be antisemitic to say, for example, that the NT holds the Jewish people to be uniquely responsible for Jesus’ death and/or to be worse than anyone else. I think “non-Zionist” is the term you are looking for. Happy Hanukkah!